Items included in the FREE fitness bundle cannot be exchanged, returned for cash or merchandise credit. Our refurbished line offers models that are gently used with slight aesthetic wear normal for any bike; each piece of equipment has been thoroughly inspected to ensure that functionality and usability are intact. Some products have been repaired and returned to a like-new state and will include the original parts and accessories (or a suitable replacement). In addition, the product was professionally cleaned and repackaged with care to give you a product as near to new as possible. All of our home Spinner® bikes ship for $40 flat-rate via ground shipping within the continental U.S., via FedEx or UPS. Additional charges apply for Next Day, Saturday Delivery and 2nd Day services. Sorry, these items are not available for Alaska, Hawaii, Puerto Rico, or Canada. All sales on refurbished bikes are final. Warranty on these bikes is one year, no labor. SPIN® Member discount will not be applied to the price of Refurbished Bikes. Refurbished Bikes come with a complimentary one-month subscription to SPINtv™. Customers can redeem their complimentary subscription by inputting the promotion code from their confirmation email into the relevant field at checkout at tv.spinning.com. Promotion codes are single use per customer. 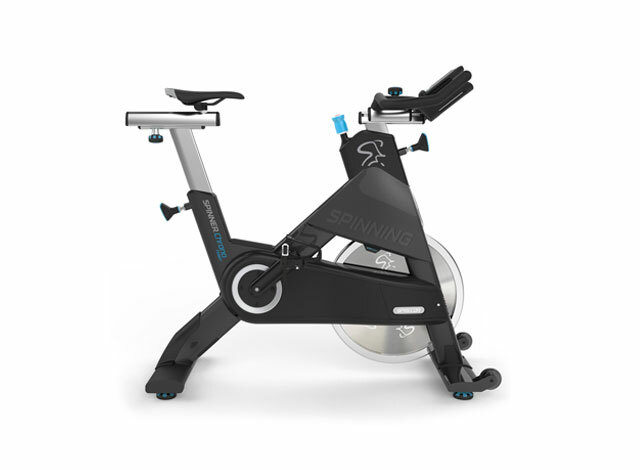 SPINtv™ subscriptions obtained in conjunction with purchase of a bike or other Spinning.com merchandise and/or offers will be voided if the order is cancelled, or any of the merchandise is returned. Full FAQ for SPINtv™ can be found at tv.spinning.com. Your subscription will auto-renew at the end of the complimentary month, but you are welcome to cancel at any time. Thank you for ordering with Mad Dogg Athletics. Spinning® order confirmations are sent out via e-mail. You will receive your order confirmation within 24 hours of placing your order. A shipping confirmation email is sent once your package has shipped from our warehouse. The shipping confirmation may include a tracking number if the carrier provides this service. Please check your spam/junk folder for confirmation emails. Because we know you are passionate about Spinning®, we make our newest and best products available to you before anyone else! The expected release date will show when you make your decision to buy. Please keep in mind that there are things outside of our control. This means that delays may occur. Should there be any delays to the product's release date, you will be notified via email. We understand that sometimes timing is critical, so if you wish to cancel your pre-order, please send your request to info@spinning.com and include your order number. You may also contact our customer service department at 800-847-7746, option 1. By placing a pre-order, you are making an advanced purchase which requires full payment. Once the item has become available, your order will ship using the method chosen at the time of purchase. To cancel an order, please contact us as soon as possible. We will make every attempt to stop the order from shipping. Orders placed before 12 pm, will ship the same day. Orders placed after 12 pm, will ship the following business day. In the event your order ships, you may return it however, the customer is responsible for all shipping costs related to the return of the order. Refunds on outbound freight is non-refundable. Mad Dogg Athletics is committed to 100% customer satisfaction. Returns or exchanges are accepted within 30 days of the original purchase. Any return outside of the 30 days is subject to a 20% restocking fee. All returned items must include a Return Merchandise Authorization (RMA) number clearly marked on the outside of the package. Returns without an RMA will be rejected. If you have questions about an RMA for a particular item, please call (1) 800.847.7746 or (1) 310.823.7008 or e-mail info@maddogg.com. Items must be received within 30 days of the RMA being issued to avoid a 20% restocking fee. We recommend returning your items using an insured, traceable shipping method. We are not responsible for items lost or damaged during the return shipping process, nor are we responsible for return postage. Original shipping charges are not refundable. Once your return has been received, inspected and processed, your refund or exchange will be processed immediately. Warranty Specifications: Home Spinner® Bikes are warranted for home use only. They are not intended to be used in commercial settings. Warranty 1 year, no labor or service. Returned Spinner® Bikes will incur a 20% restocking fee. The original shipping costs, valued at $85, will be deducted from all credits issued to the purchaser. Return shipping costs are the responsibility of the purchaser. Maximum Order Amount: There is a maximum order amount of two Home Spinner® Bikes per online order. If you wish to purchase more than 2 Bikes, please call Customer Service for special order quotes at 800.847.7746. Clothing and accessories must be unworn and unwashed with all original tags. For expedited service, please mark any defects with tape. Opened CDs and/or DVDs are not returnable unless damaged. In the event that your DVD will not play on a particular DVD player, but works on other units, this is usually indicative of a DVD player that needs servicing. A defective DVD will only malfunction at the same point on a disc, even when using different DVD players. If the fault experienced is random (even in different players) this is another indication that servicing of the DVD player may be required. 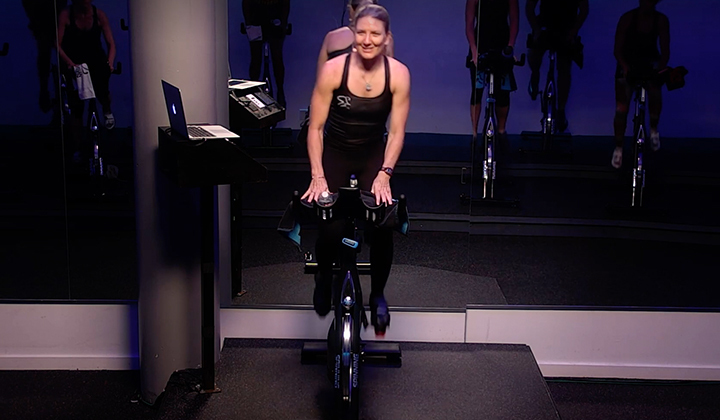 Electronic items such as heart rate monitors, Spinning® computers and all Spinner® bikes must be returned in their original packaging. Under our flat-rate shipping promo, the original shipping cost will be deducted from all credits issued to the purchaser for Spinner® bikes. 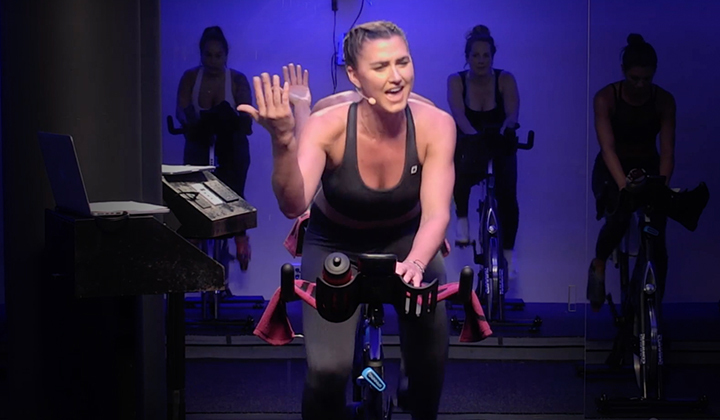 SPIN® Membership is a one-year term for $99 upfront. Purchase of SPIN® Membership is excluded from any promotional offers or discounts otherwise applied to customer purchases. 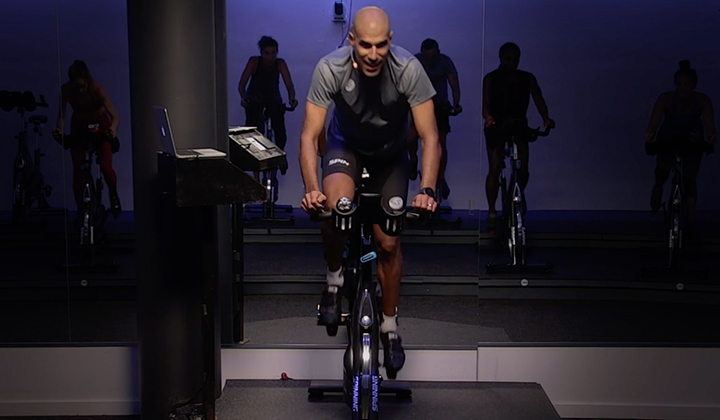 SPIN® Membership will auto-renew and charge your credit card at the end of each one-year term. You may cancel auto-renew at any time in your account settings or by contacting customer service at customerservice@spinning.com. Store credit cannot be applied to SPIN® Membership payments. For information on your benefits and how to access them, please visit our SPIN® Member Benefits page. If we were unable to process your credit card, please check to ensure you entered the correct card number and expiration date, and that the billing name and address match your credit card billing information exactly. Mad Dogg Athletics, not Spinning®, will appear on your credit card statement. Normal paypal payments are processed immediately, however if you choose to use the Paypal echeck service may cause a delay with processing your order (approximately 7-10 business days). If you are ordering with expedited shipping (Overnight, 2day or 3day service), we recommend using a credit / debit card to complete the transaction, avoiding long delays. Please contact Customer Service at 800-847-7746 , option1, for additional information.